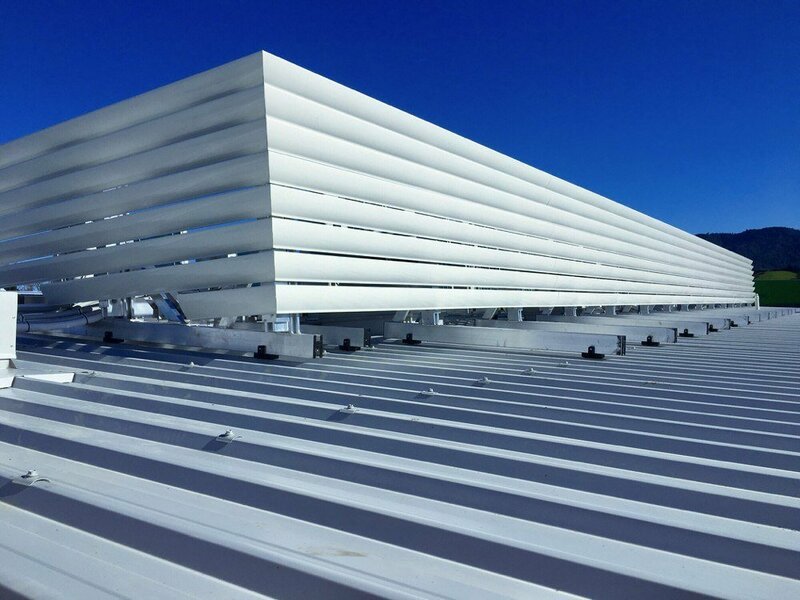 Aluminium blade louvres are used for HVAC plant screening, sunshades, decorative façade elements and ventilation grills. 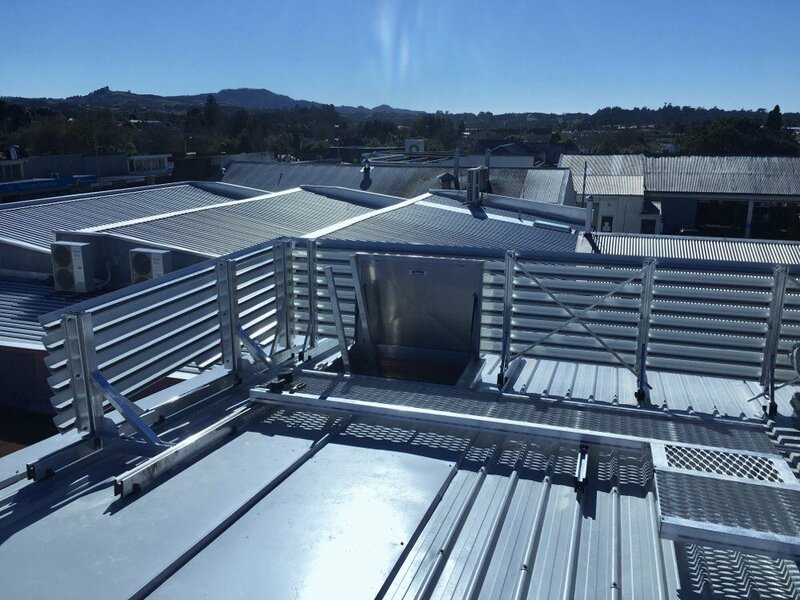 Our louvres are made with mill finish aluminium and can be left natural, anodised or power coated any colour. 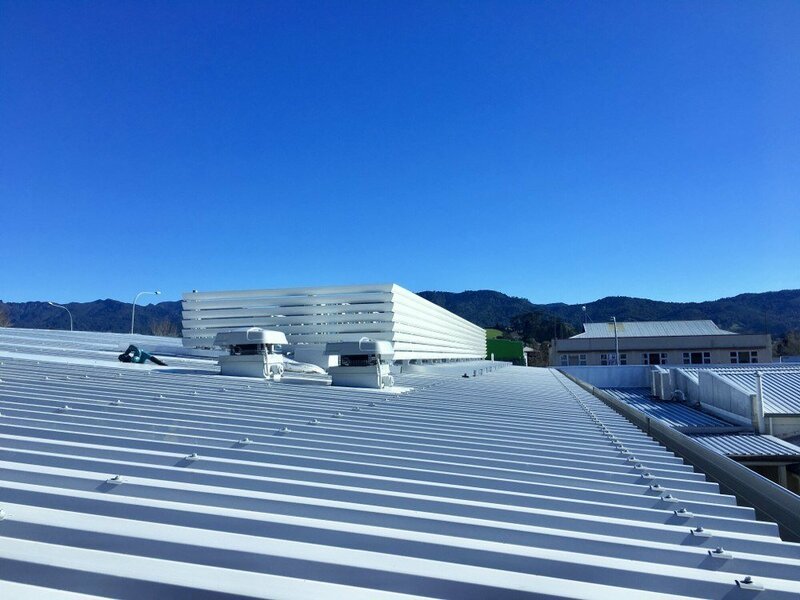 They provide a beautiful architectural appearance to screen unsightly rooftop plants or building elements where free air flow needs to be maintained. 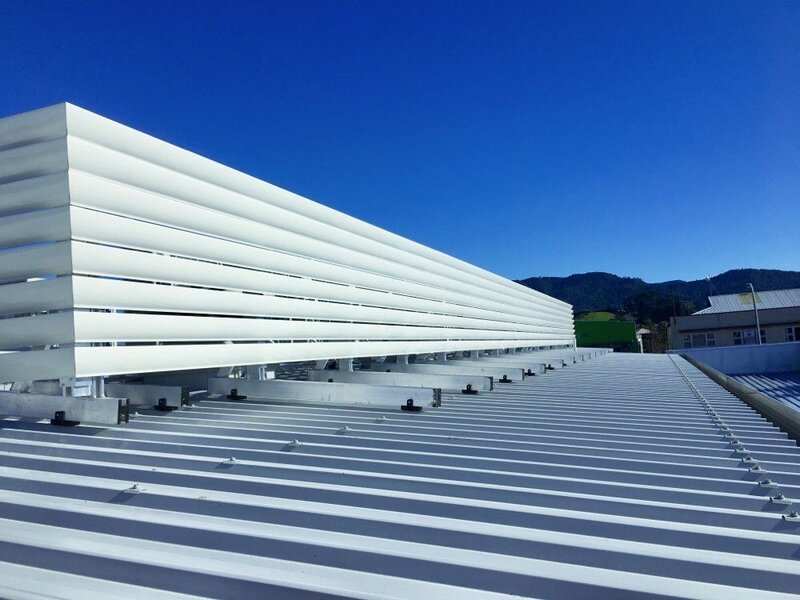 Aerodynamic design reduces wind loading and a variable louvre blade positioning allows for different aesthetics and air flow. 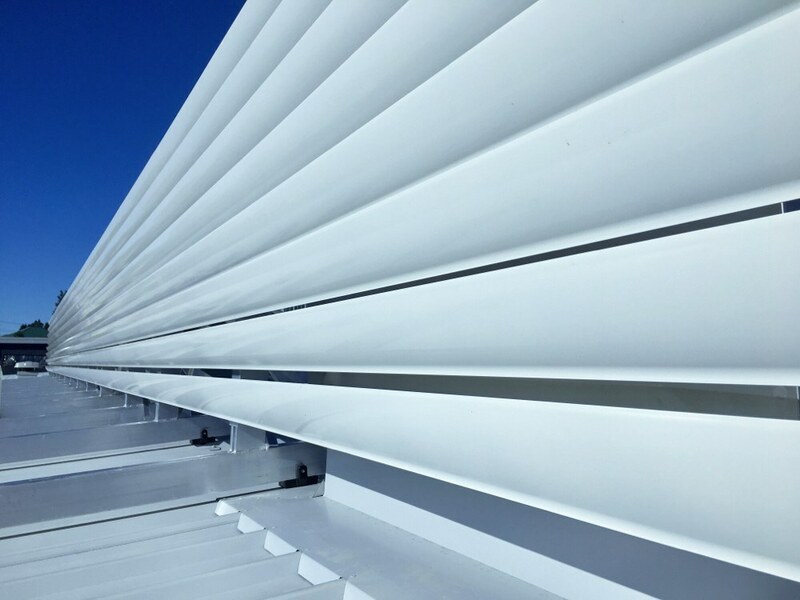 Louvres have 20% less wind loadings than mesh screens and reduce the amount of UV light on equipment. 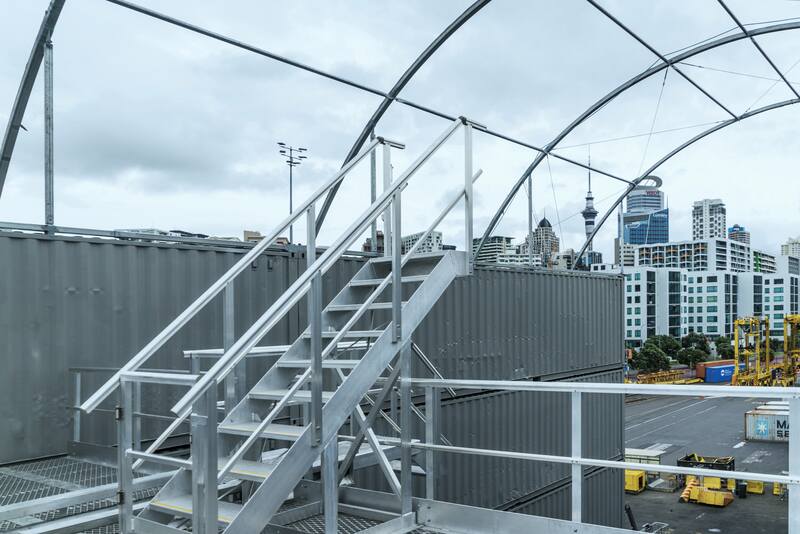 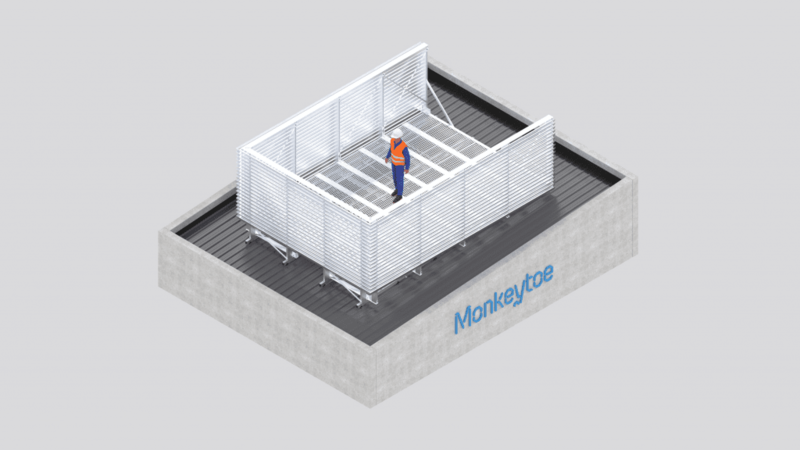 This louvre system integrates perfectly with Monkeytoe premium aluminium plant platforms. 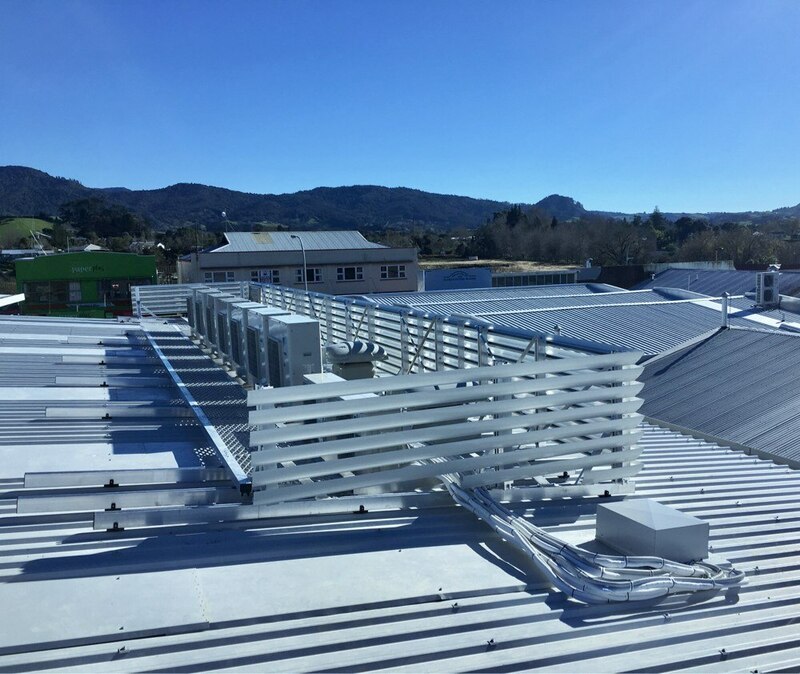 Platform-mounted louvres Aluminium blade louvres mounted to plant platforms to hide unsightly plant and building elements and improve architectural requirements. 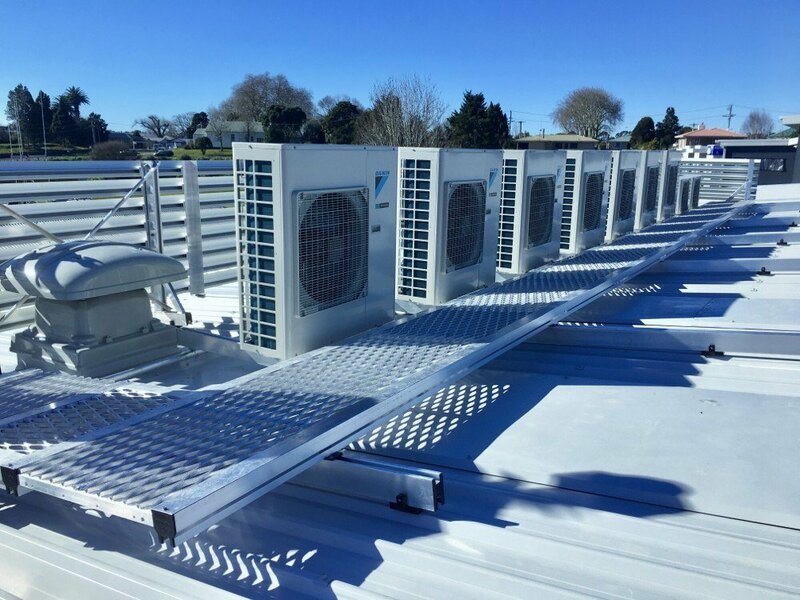 This system is built in accordance with structural design action B1, AS/NZS 1170 Standards Australia / New Zealand (Relevant parts).